We often get asked what hockey players should be eating when they’ve got a 9, 8 or even 7 am hockey game or practice. It’s a great question because, whether it’s a tournament game or a practice, we always want to be performing at our best on the ice. Let’s take a look at what hockey players can eat for those early games when they are only awake for maybe an hour or two before hitting the ice. You should always have a steady flow of glucose in the bloodstream. You should always have a steady flow of amino acids in the bloodstream. You should always have optimal hydration. You need to accomplish goals 1-3 while minimizing all G.I. distress symptoms. If you can lock those four down, you’re doing a great job. 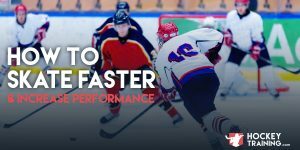 For those of you who are interested in the science behind those where those four rules came from and why they are optimal for hockey performance, I wrote extensively about them here, and here. Mimic the Phase 1 ideology but utilize food/supplementation sources that create a very low G.I. distress during exercise (this means you need to be choosing options that are both low fiber and low fat) and also ones that metabolize fast so they can still hit the bloodstream (to ensure rules 1 and 2 are followed) before you step out onto the ice. Essentially, create a meal that mimics Phase 1 but consume it in the Phase 2 window and choose the appropriate foods within that window to ensure performance does not suffer. Consume one of these options with plenty of fluids 30-45 minutes before a game. The above three example meals are all very quick-to-make options that are easy to digest first thing in the morning so that you can still cover all of your performance/recovery bases even on those early hockey days. 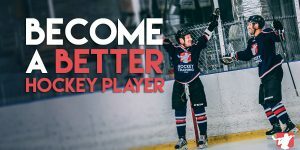 For more information on hockey nutrition, be sure to check out the hockey nutrition guide here, and if you’re interested in becoming the best hockey player you can be and get access to all of the best information and programs here at HockeyTraining.com — make sure you check out the VIP Program today.